If you are looking for a way to shake things up a bit in pronunciation class, try one of these simple games that focus on accurate pronunciation and listening closely. How well do your students listen for accurate pronunciation? Try this game and find out. Read a list of words to your class, pausing briefly after each word. The words on the list should all contain a certain sound you want your students to listen for. It might be a particular vowel or a certain word ending. Include on your list one word that does not follow that pattern. Tell your students that they should listen for the word that does not belong, and when they hear it they should raids their hands. You will be able to see exactly how closely your students are listening with a simple show of hands. In this game, students will work together to determine which words on their list are pronounced the same. Start by making two lists of words. Most of the words on the lists should be either homophones or minimal pairs. You can decide which you want more of. Then give one list to one student and the other list to his partner. The students will read each word on their list without showing it to the other person. They will then have to decide if the words are pronounced the same or if they are pronounced differently. Students score five points for each pair they get right. The team with the most points at the end of the activity wins. If you like, have students write their own lists and switch them with another pair to follow up the activity. In a game similar to the previous one, you can have students listen to you read pairs of words and then decide if you said the same word or if you said different words. Label one side of your classroom as the same and the other side as different. Then have students run to the side of the room which corresponds to what they think they heard. Since only a few if any students will run to the wrong side of the room (hopefully) you’ll have a good idea immediately who needs more practice with their listening skills. If you haven’t played Stations with your ESL class, it is a fun and versatile game. 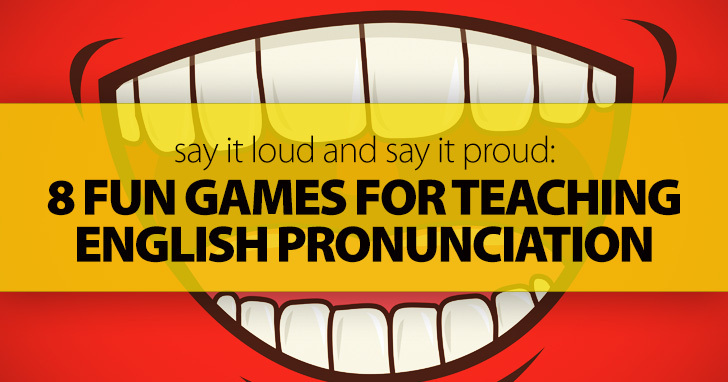 You can play it for pronunciation and close listening with your students in this fun version. Choose four sounds you will be testing, such as four different vowel sounds. Put a piece of paper on each wall of your classroom that says which sound it represents. Then read a word and have your students listen for the correct vowel sound. Once they think they know, they run to the wall which displays that sound, being sure to put their hand on the wall. Anyone who runs to the wrong wall is out and must sit down. Give your students another word and have them run again. Keep playing and eliminating anyone who makes a mistake until only one person is left. Then give the walls new sound labels and play another round. This is a fun activity that will challenge students’ abilities to listen and to speak. Play a dialogue or other short recording for your students several times. As you play it, have students speak along with the recording from a transcript you provide or from memory. When students are getting proficient at speaking along with the recording, turn the volume all the way down in the middle and them back up a few lines later. Then see which students were able to say the dialogue with the right timing and are still in synch when the sound comes back on. Divide your class into teams of five to six students. Have each team stand in a line, and designate part of your front board for each team. Then tell your class the target sound they will be looking to include in the words they brainstorm. It might be a certain vowel sound, a consonant blend, or any other sound you want them to be aware of. On go, one person from each team runs up to the board and writes down a word with that sound before returning to the back of his team’s line. Then the next person goes. Continue for two to three minutes. The team which has the most correct words on its list at the end of the time wins the round. Can your students guess what a speaker means just by the way they intone a sentence? You can see with this fun and challenging game. Choose a sentence and read it to your class with standard inflection and stress. Then change the way you say the same sentence to communicate a different mood with what you say. See if students can guess the emotion you are trying to convey with your intonation. Then say the same sentence again with a different intonation. Continue until you can think of no other way to say the sentence. This game is fun for listening to stress in sentences. Start by giving your students a list of ten to twenty English sentences. Then, instead of reading a sentence to your class, tap out the stressed and unstressed syllables on a table or your board. Make sure your taps for the stressed syllables are stronger than those for the unstressed syllables. Using just this information, students try to determine which sentence you were tapping out. If they can guess after just one listen, give them three points. After two listens, award two pints. And if they need three listens, give them one point. If they cannot identify the sentence after that, no points are given. While pronunciation is often technical, it can be fun, too. These simple games give you and your students a way to have fun while still learning how to listen carefully and have accurate English pronunciation. What are your favorite games for pronunciation class?